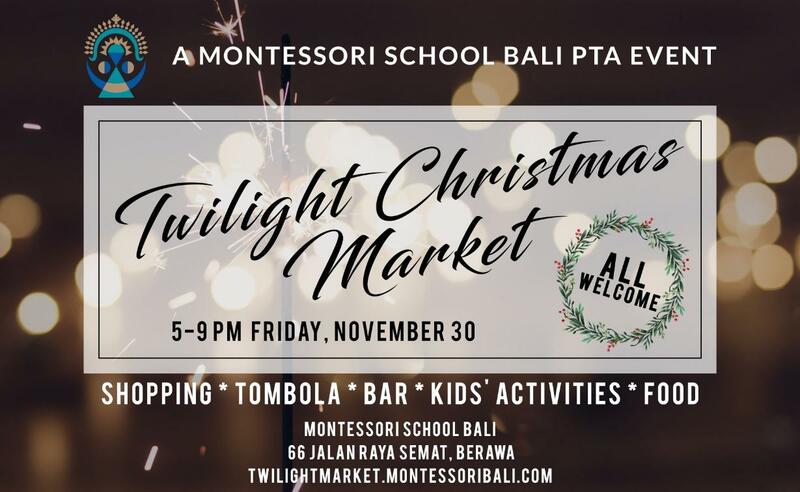 The inaugural Montessori School Bali Twilight Christmas market aims to bring our wider community together for an evening of food and drinks, shopping, kids' activities, entertainment, and fun ahead of Christmas. All welcome to this free event! We will be holding a tombola--a game of chance where everyone wins a prize!--with a huge range of fabulous prizes. Marshmallows will be roasted over a fire pit, bouncy castles, and an array of other games will keep children occupied, our Melati class students will offer a spa experience to children, and 50 vendors will offer their wares and services.